If you want a powerful laptop that can handle just about everything you throw at it without breaking a sweat, you want to go with a laptop with an Intel Core i7 processor. The great news is that there are quite a few excellent Intel Core i7 laptops to choose from, especially in the high-end category. Who Buy a Laptop with an Intel Core i7 Processor? Intel uses the Core i7 brand name for high-end processors that target the business and premium consumer markets. The name was introduced in late 2008 with the release of Bloomfield processors, which were based on the 45 nm Nehalem microarchitecture. The most recent generation of Core i7 processors is based on the 14 nm Kaby Lake micro architecture. Mobile Core i7 processors feature the latest Intel HD Graphics GPUs. While not as powerful as dedicated GPUs from AMD and Nvidia, Intel HD Graphics GPUs can achieve decent frame rates in games like Rocket League, FIFA 2017, Overwatch, World of Warships, Dota 2, The Sims 4, Bioshock Infinite, and many others. Intel Core i7 processors support ultra-high-definition multimedia content, with power- efficient VP9 and HEVC 10-bit hardware acceleration. Core i7 processors rely on Intel Turbo Boost Technology 2.0 to achieve the perfect balance between performance and power consumption. Intel Hyper-Threading Technology enables laptop manufacturers to come up with compelling 2-in-1 designs and thin clamshells without making any compromises. Intel Core i7 processors support modern inputs and outputs such as Thunderbolt 3, USB Type-C, and Gen 3 PCIe. The cutting-edge I/O capabilities of these processors make it possible to use the same connector for system charging, 4K display output, and high-speed data transfers. But what’s perhaps the most important, Intel Core i7 processors perform the best of all mobile processors. If you’re someone who works with resource-hungry software, you need every extra megahertz you can get to prevent slowdowns and annoying lags. Paying more for an Intel Core i7 processor makes sense if it helps you do more in less time, or if it simply improves your computing experience, making you love your laptop even more. 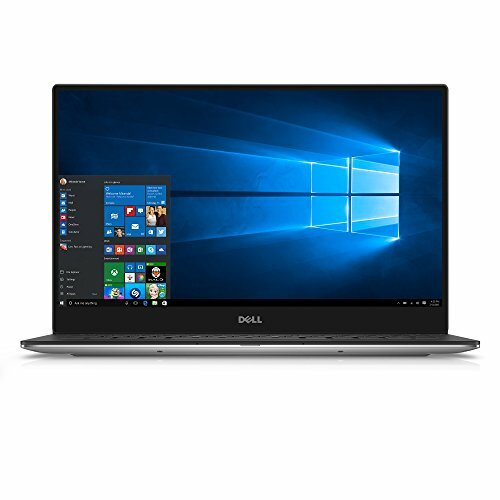 The Dell XPS 13 is available with the Intel Core i7-7560U processor for $1,349 for the non-touch version and $1,699 for the touch-enabled version. The i7-7560U was announced in January 2017, and it’s a speedy dual-core processor with 4 MB of cache and up to 3.8 GHz processing speeds. It comes with the Intel Iris Plus 640 GPU, which supports H.265/HEVC Main 10 with a 10-bit color depth and Google’s VP9 codec. The performance of the Intel Iris Plus 640 is comparable to the Nvidia GeForce 920MX dedicated graphics card. In Cinebench R15, a popular cross-platform benchmarking suite, the Intel Core i7-7560U scored 153, while the much more power-hungry AMD Ryzen 5 1500X desktop processor with four cores scored just 4 points more. Needless to say, the Dell XPS 13 packs ample processing power for all tasks. But processing power alone isn’t the reason why many people and tech reviewers consider the Dell XPS 13 to be the best ultrabook on the market. Its gorgeous design and display with eye-popping detail also have a lot to do with it. The more expensive, touch-enabled version features a 13.3-inch display with 3200 x 1800 pixels. The display stretches from edge to edge, not leaving enough space even for the webcam, which had to be moved to the bottom left corner. The display can reach up to 400 nit brightness, and its colors look the same to up to 170 degrees. When fully loaded, the Dell XPS 13 has 512 GB of fast PCIe storage and 16 GB of memory. Excellent connectivity is provided by a Thunderbolt 3 multi-use Type-C port with support for data transfers up to 40 Gbps. The port allows you to connect the optional Dell Thunderbolt Dock with a single cable, which essentially turns the stunning ultrabook into a powerful desktop computer. Inside the ASUS ZenBook Pro UX501VW hides the Intel Core i7-6700HQ processor. The i7-6700HQ is based on the one generation old Skylake architecture. However, you shouldn’t let it hold you back from buying the laptop because the differences between the older Skylake and the current Kaby Lake processors are insignificant. The Intel Core i7-6700HQ processor has four CPU cores clocked at up to 3.5 GHz. 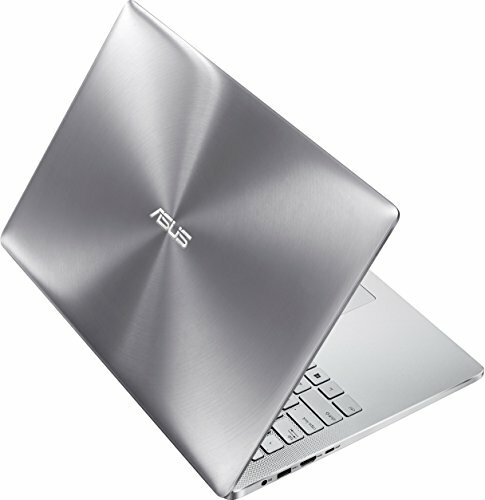 It features the Intel HD Graphics 530 GPU for light gaming, but the ASUS ZenBook Pro UX501VW switches to the much more powerful Nvidia GeForce GTX 960M dedicated graphics card when playing games or performing GPU-demanding tasks. In Cinabench R15, the i7-6700HQ scored 144 points, which puts it right along some of the fastest CPUs—mobile or desktop—on the market. The ASUS ZenBook Pro UX501VW supports up to 16 GB of memory, and we advise you to get as much memory as you can because the 15.6-inch 4K display with 282 pixels per inch and 100 percent sRGB color reproduction begs to be filled with demanding apps and games. The display supports three viewing modes: eye-care mode, normal mode, and vivid mode. The eye-care mode reduces the harmful blue light, while the vivid mode ups the contrast, breathing life into pictures and movies. Thanks to the 96 Wh lithium-polymer battery, the ASUS ZenBook Pro UX501VW can last more than 6 hours on a charge, which is a very decent battery life considering the size and resolution of the display. The latest Thunderbolt 3 multi-use Type-C port supports data transfers up to 40 Gbps for cutting-edge connectivity, and the noise-free microphone complements the sharp webcam. 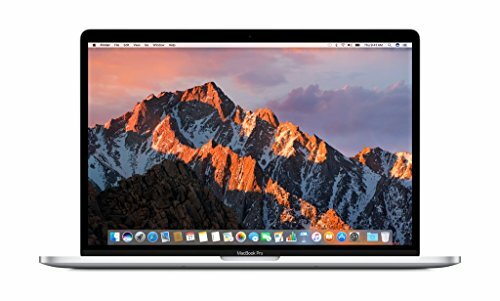 The most powerful MacBook Pro comes with the Intel Core i7-7920HQ processor. Announced in January 2017, the i7-7920HQ is a quad-core processor with 8 MB of cache and Hyper-Threading support running at 3.1 GHz, with Turbo Boost up to 3.5 GHz. The processor features the Intel Iris Plus Graphics 650 integrated graphics card. In the single-core benchmark of Cinebench R15, the i7-7920HQ scored 174 points, which is one point more than the AMD Ryzen Threadripper 1950X, a 16-core monster that consumes 180 W. But even if you go with a less expensive configuration of the MacBook Pro, you won’t be disappointed with the performance of your new laptop. You also won’t be disappointed with the build quality of your new laptop. The MacBook Pro is, like so many Apple products, a piece of art, and the extreme attention to detail is apparent everywhere you look. The 13.3-inch model has 2560 x 1600 pixels, while the 15.4-inch model has 2880 x 1800 pixels. Both displays can go up to 500 nits, and their color reproduction is one of the best. Perhaps the most interesting feature of the MacBook Pro is the Touch Bar, which replaces the function keys. The Touch Bar automatically changes based on which app is currently active, constantly providing you with the most relevant shortcuts and tools. Virtually all first-party apps now support the Touch Bar, and the number of third-party apps with Touch Bar support is already very high. Apple may be reluctant to include any extra ports above the bare minimum, but the ports they do include can do pretty much everything. The MacBook Pro has up to four Thunderbolt 3 ports with up to 40 Gbps data transfer speeds, and support for up to two 5K displays. What’s more, every port can be used to charge the laptop or to provide power to accessories. The Surface Book may look like an oversized tablet with a detachable keyboard, but it’s actually a compact laptop that can be transformed into a large tablet. The distinction is important because you’d be hard-pressed to find a tablet with similar hardware specifications. Namely, the Intel Core i7-6600U processor with a clock rate of 2.6 GHz and up to 3.4 GHz in Turbo Boost mode. The Intel Core i7-6600U is an ultra-low-voltage dual-core processor based on the Skylake architecture. It features the Intel HD Graphics 520 GPU and support for dual-channel DDR4-2133/DDR3L-1600 memory. The i7-6600U scored 141 in Cinebench R15, and its performance is adequate even for the most demanding professional applications. All the power the Surface Book puts at your fingertips seems even more impressive is you consider how compact and versatile the laptop is. 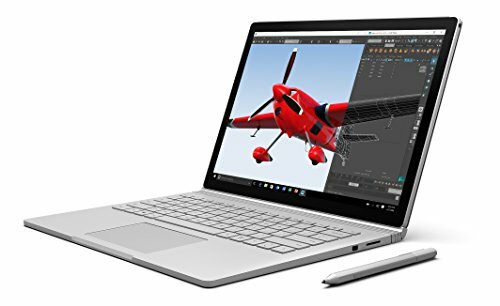 With a 13.5-inch PixelSense display with 3000 x 2000 pixels and a Surface Pen-enabled touchscreen layer, the Surface book has a higher resolution than the 13-inch MacBook Pro and the versatility of a tablet. You can detach the keyboard and use the display alone with the Surface Pen to draw art, write notes, or comfortably read the web. But you can also keep the keyboard attached and just flip the screen thanks to the innovative 180-degree hinge. The Surface Book supports enterprise-grade facial recognition, making it feel right at home at the office. With the 5.0-megapixel front-facing camera and dual microphones, you colleagues will think that you’re calling them from a high-end smartphone and not a laptop. The affordable Acer Aspire E15 is available with the Intel Core i7-7500U processor for as little as $699. 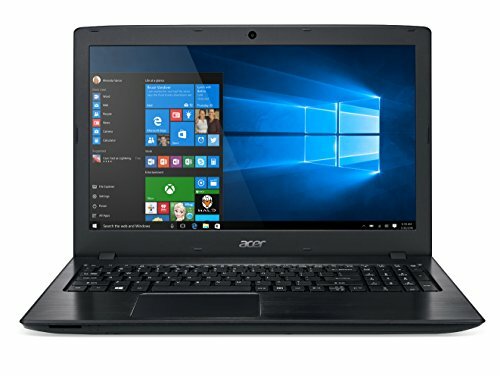 At this price, the laptop is a real bargain for anyone who needs plenty of processing power but is willing to make compromises elsewhere. The Intel Core i7-7500U processor is a dual-core processor built on the Kaby Lake architecture. Acer clocks it at 2.7 GHz, and it can reach up to 3.5 GHz with Turbo Boost activated. The processor features the Intel HD Graphics 620 graphics card. The i7-7500U scored 143 in the single-core test of Cinebench 15. We’ve said that the Acer Aspire E15 is for people who’re willing to make some compromises so you may be surprised to find out how much $699 can get you. The 15.6-inch display has the Full HD resolution. Respectable gaming performance is provided by the Nvidia GeForce 940MX dedicated graphics card, which can handle even some AAA games at decent graphics settings. The $699 version of the Acer Aspire E15 also comes with 8 GB of memory and 256 GB SSD. Inside the laptop is a large battery that can power it for over 10 hours as well as the Acer TrueHarmony sound system for richer, more lifelike audio. As such, the Acer Aspire E15 is perfect for people on a budget and those looking for an affordable beater for home use—one that won’t feel sluggish even after a few years of use.